Strip Steaks - is currently on backorder. You may still purchase now though and we'll ship as soon as more become available. 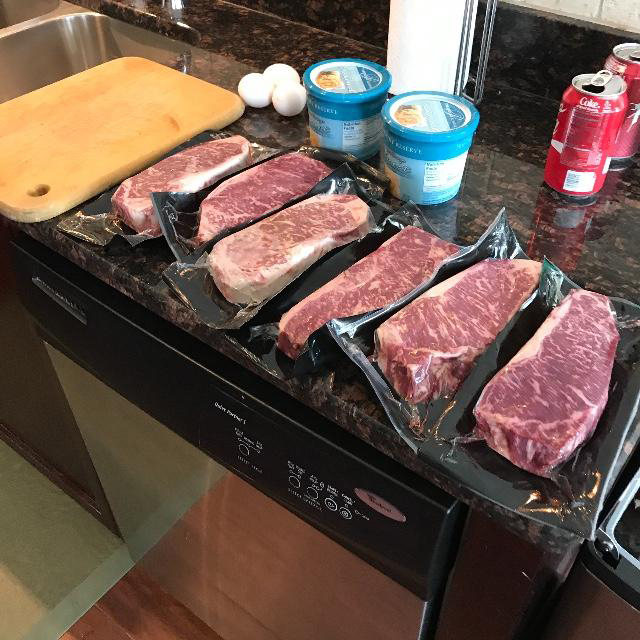 Whether at home with your family, or on the road in a new city, you can find a strip steak. This popular cut goes by different names depending where you are; New York Strip, Kansas City Strip and in Australia it goes by Boneless Sirloin. No matter where you are, it's a delicious and tender cut of meat that is perfect for any occasion. And you can rest assured our Wagyu Strip Steaks are the best of the lot. With a melt­-in­-your-­mouth texture and exquisite flavor, our 100% Fullblood Wagyu Beef Strip Steaks are our most popular cut. 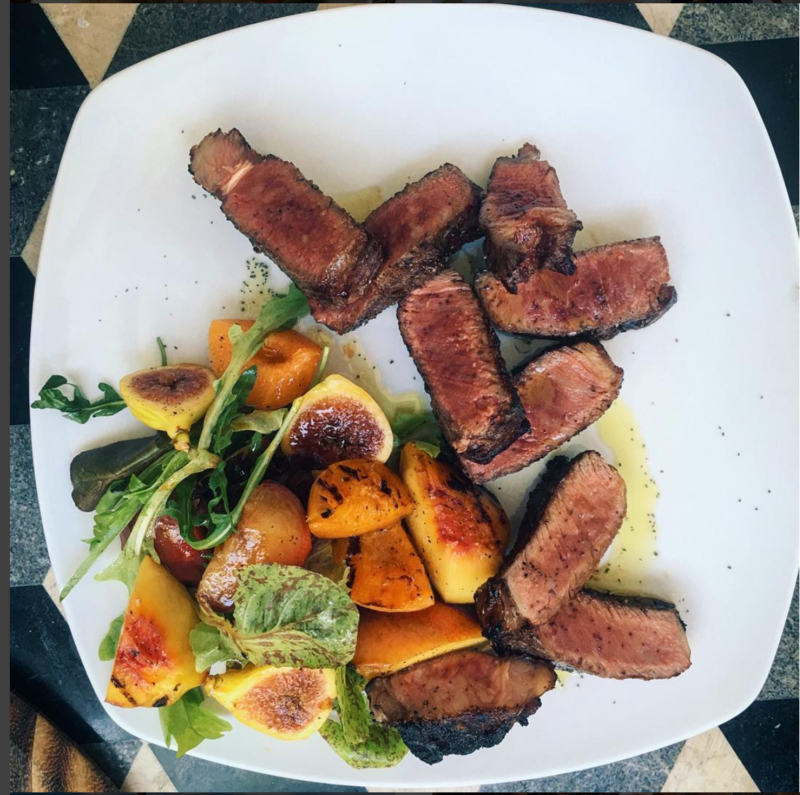 The flavor is unmatched, with a tight texture and a definite grain; Strip Steaks are a favorite of restaurants and steakhouses the world over and with good reason. 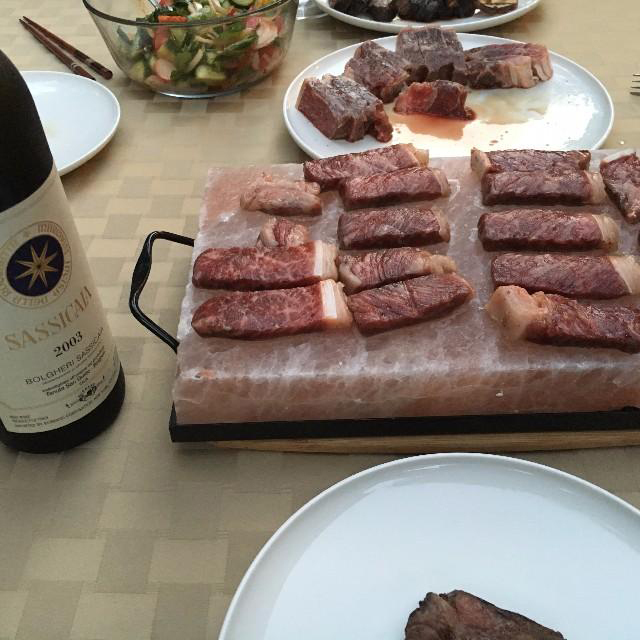 We always recommend cooking our Wagyu to no more than Medium Rare for optimal experience of the high marble content. Grill: Heat grill to medium high. Season your steak generously with sea salt and fresh ground pepper. Sear each side for 1 minute on hottest part of the grill. Move steaks to lower heat and cook for 6 minutes on each side. Let rest 5 minutes before digging in. Broil: Preheat oven to 425 F. Heat a cast iron skillet over a high heat. Add a small amount of olive oil or butter. Season the steak generously with sea salt and fresh ground pepper. 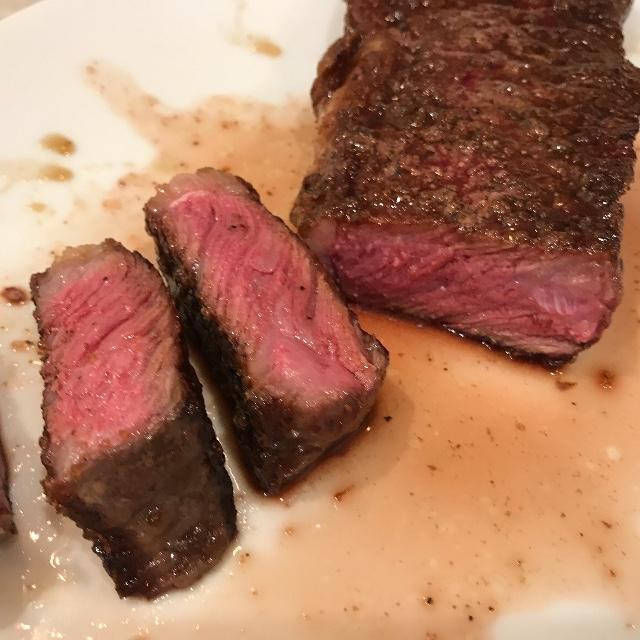 Sear each side of steak for 1 minute. Place the skillet and steak in the oven for approximately 8 minutes. Let rest 5 minutes before cutting. The Strip Steak goes by many names: New York Strip. Kansas City Strip. Boneless Sirloin. But beneath all those nom de mange (that’s not really French for ‘eatin’ name’) is a classic piece of meat: tight texture, defined grain, rich flavor, and lots of tender marbling. After all, this is the twin steak sibling to Filet Mignon, who sits on the other side of a Porterhouse. Good company indeed. Our Wagyu Strip steaks bring all those classic characteristics to perfection. Do not, under any circumstances, cook past medium-rare. We will never speak to you again. The product was first quality, one of the best steaks that I have had.